Burlington Street over Ralston Creek with orange pylons blocking one lane after the 2006 F2 tornado. Educational use only. Copyright Tim Dickens. 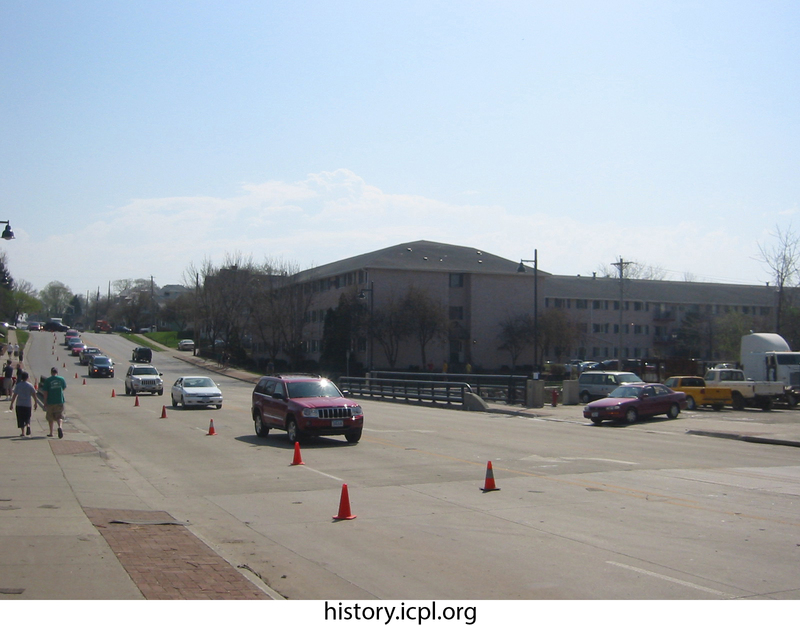 Dickens, Tim, “Burlington Street over Ralston Creek,” Iowa City Public Library, accessed April 19, 2019, http://history.icpl.org/items/show/2552.